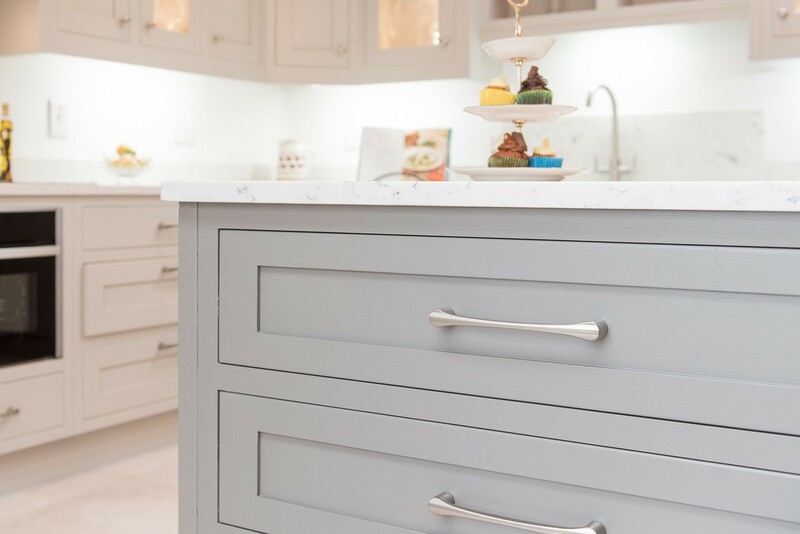 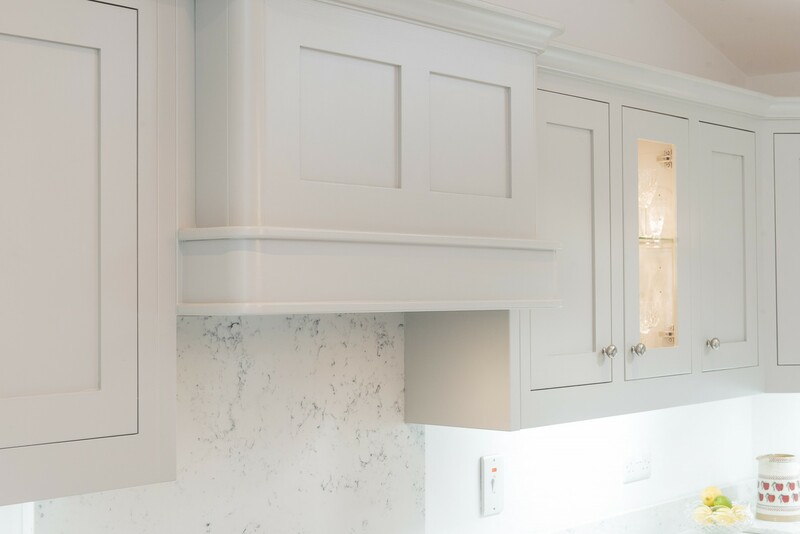 In-framed shaker tulipwood which is hand painted in two Farrow & Ball grey colours with a Silestone Quartz top. 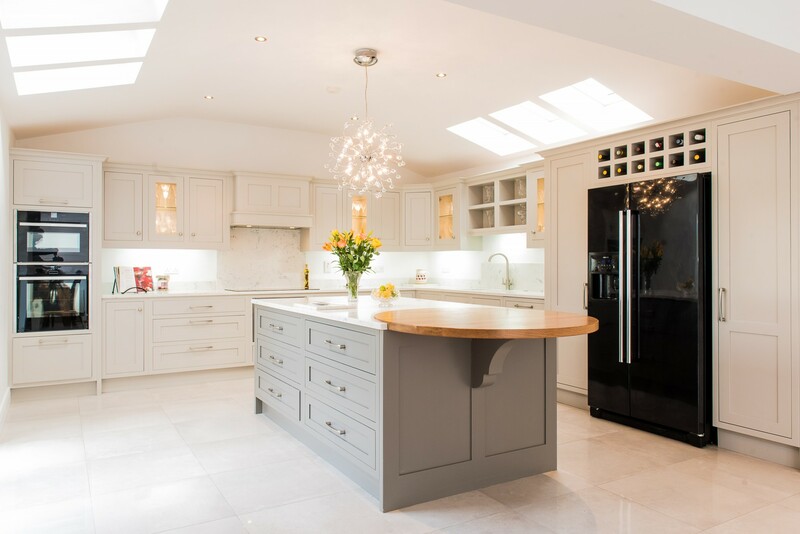 The Shaker canopy with quadrant detail works well in this large Kitchen. 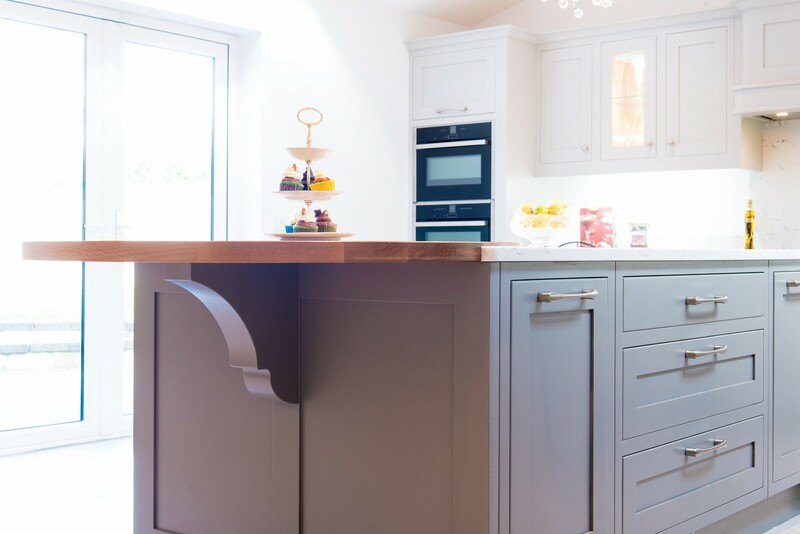 The extensive Island with lots of storage and a lovely circular Oak breakfast bar area lend to a very sociable space.